Originally published in the May 13, 2014 issue of Shelf Awareness for Readers. Reprinted here with permission. If you don't already receive it, sign up here to receive a bi-weekly dose of readerly goodness in your inbox. Julia Dahl's debut novel, Invisible City, wraps a well-plotted mystery in the setting of an ultra-Orthodox Jewish community in Brooklyn, N.Y. The result is a fast-paced, smart novel of murder, journalistic ethics and religion. Rebekah Roberts, a young journalist, moves to New York City fresh out of college to look for one thing: a job as a big-city reporter. Though Rebekah strikes out at the large papers, she lands a job as a stringer for the New York Tribune, a tabloid-like local rag. When Rebekah is sent to cover the murder of a Hasidic woman, she is shocked to discover how insular this community is--so much so that the murdered woman's body is buried without an autopsy and with little inquiry into her death. But she also finds herself learning more about her own mother, an ultra-Orthodox Jew who left Rebekah and her father to return to her religious community when Rebekah was a newborn. As Invisible City unfolds and Rebekah pushes for more information about the crime, Dahl weaves together Rebekah's own story, including her battles with anxiety and questions about her mother, with a broader exploration of the Hasidim. Dahl comes to fiction with a background as a crime and criminal justice journalist, and it shows; crisp dialogue and a strong sense of intrigue keep Invisible City moving forward to the very end. Though the mystery may be resolved, readers are left with enough questions to leave them anticipating more of Rebekah Roberts' story--good news for all, as a sequel is underway. I'll be updating this post over the course of the week with daily updates, mini-challenges, etc. Work went off the rails yesterday, and a belated Mother's Day dinner/Game of Thrones viewing event with my family meant limited time to read. I did make significant headway in the first volume of Brian K. Vaughn's The Last Man, however, and am planning to finish this and Volume 2 tonight. Work is still crazy, but I managed to finish the first two volumes of Brian Vaughn’s Y: The Last Man series, and have made a 100-page dent in Thorn Jack. So, not too shabby overall. Hoping to finish Thorn Jack today, with any luck! 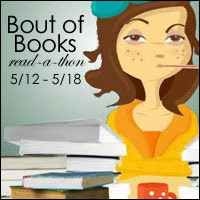 A very belated update post for Day 3 of #boutofbooks! I still haven’t finished Thorn Jack, which I’d hope to complete last night, but I did add some Mindy to the mix. And now that it’s 11PM on Day 4, maybe I’ll actually crack open a book? Books read: Y: The Last Man, Vol 1; Y: The Last Man, Vol 2; Thorn Jack; Is Everyone Hanging Out Without Me? I spent most of yesterday in an airport or on an airplane (~8 hours), which means I finally managed to catch up on some reading. Travel like that is exhausting, but also sometimes just what my reading brain needs to recharge. Day 7 Update: The End! Another day of travel meant a lot more progress on The Visitors. It's a long book, so I still didn't manage to up my total number of books completed, but overall, not too shabby! Bout of Books is upon us, and I'm thrilled to be participating for the first time! My goal is simply to read more than usual between May 12th (today) and Sunday, May 18th. Since I've been in a slump, "more than usual" is really anything more than one book/week, and I'm hoping this is the kick in the pants I need to get myself back in gear... (I said that about #24in48 though, too). I've never really been able to participate in this event before, but given some work travel I have coming up this weekend, I actually think I'll have some solid chunks of time to dedicate to my books this week. My list includes two June books I need to wrap up ASAP for review, two carry-overs from my #24in48 readathon list that I didn't get to, two titles from my un-touched TBR Challenge stack, two library books I need to return by Wednesday, and two July books just in case I want to get ahead. As usual with reading lists, I obviously don't plan to get to all of these, but hope to have enough variety to keep me engaged all week! Who else is joining in? Any advice from people who have participated before? I know I'm a little overwhelmed by all the mini-challenges already! 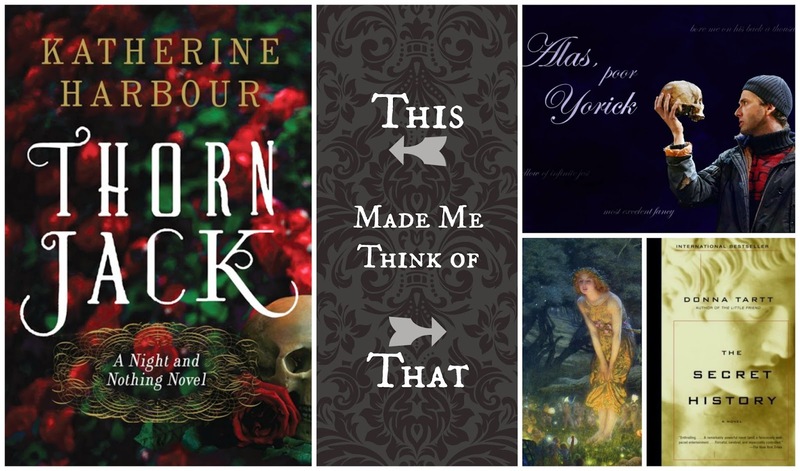 The sun is shining, spring has sprung, and spring reading is upon us! 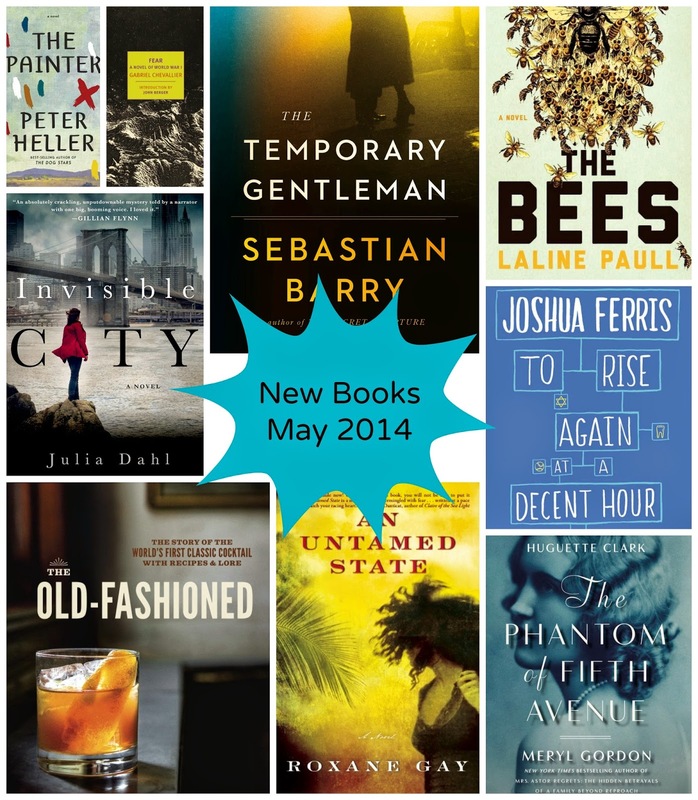 And by "spring reading," I mean "publishers are gearing up for summer reading, so May is a crazy big publishing month." As though April wasn't enough! 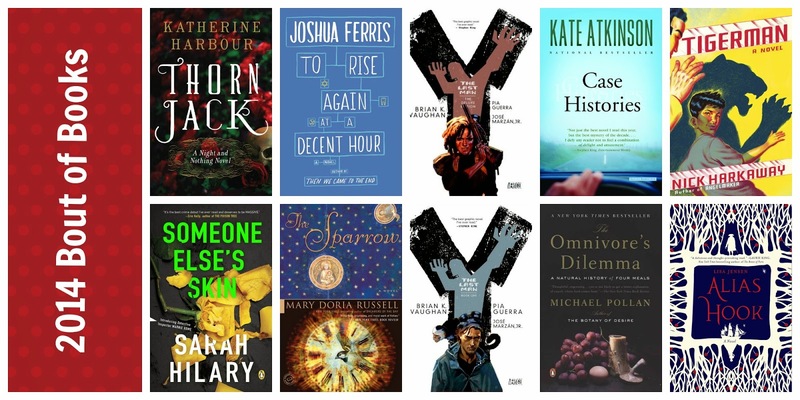 In all seriousness, though, there's an excellent crop of new books coming out this month, and the month will culminate in Book Expo America, which will mean so. many. more. books. Fear: A Novel of World War I, Gabriel Chevallier, Malcolm Imrie, John Berger (NYRB, May 20): First published in 1930, never before published in the United States, now on offer from NYRB, novel of World War I... so many reasons to pick this up, right? 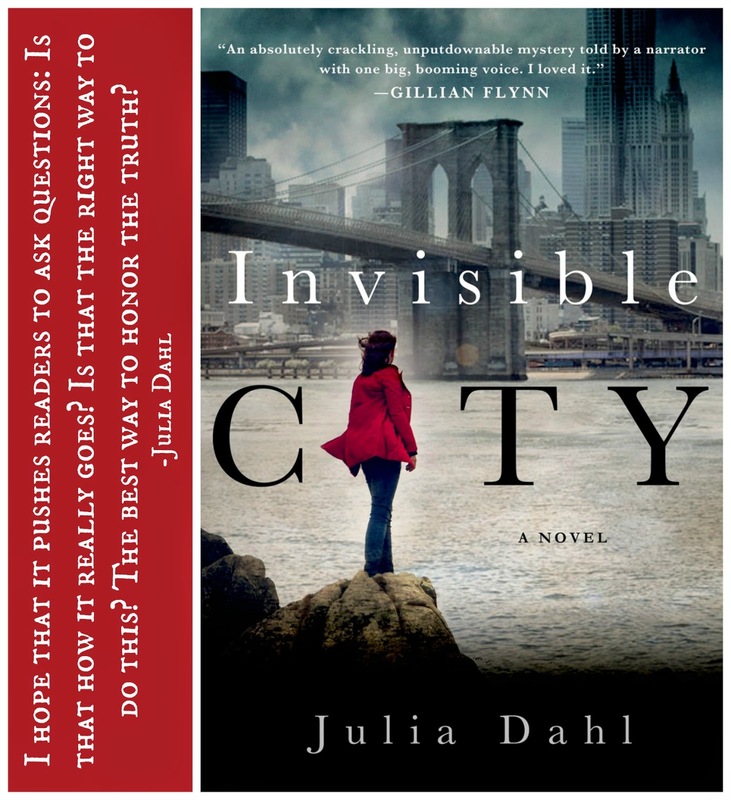 Invisible City, by Julia Dahl (Minotaur, May 6): A journalist investigates a murder in an Ultra-Orthodox Jewish community in Brooklyn--and also looks for her mother, herself an Ultra-Orthodox Jew, who left Rebekah and her father over 20 years ago. My Real Children, by Jo Walton (Tor, May 20): I love love looooved Jo Walton's Among Others, so was ridiculously excited to see she has a new novel out this month, this one asking--and answering--the "What if?" question by exploring one woman's life that splits in two possible directions. The Old-Fashioned: Stories of the World's First Classic Cocktail, with Recipes and Lore, by Robert Simonson, Daniel Krieger (Ten Speed Press, May 13): I'm always fascinated by the history of cocktails, and this promises not only that, but more than 50 variations on the classic old-fashioned. The Painter, by Peter Heller (Knopf, May 6): It feels like May is the month of new novels from authors I really want to read but haven't picked up yet. Peter Heller is another of these--I've had The Dog Stars on my list for what feels like ages--and his newest centers on "an artist trying to outrun his past." The Phantom of Fifth Avenue, by Meryl Gordon (Grand Central, May 27): The story of a wealthy socialite who went from bell of the ball to recluse hospital resident... this story has odd parallels with the life of Zelda Fitzgerald and Miss Havisham both--and it's true. The Bees, by Laline Paull (Ecco, May 6): The publisher's blurb calls this "part parable, part coming-of-age story, part pure page-turner," and I've heard lots of blogger raves on this one. The Temporary Gentleman, by Sebastian Barry (Viking, May 1): I picked up Barry's The Secret Scripture on a whim at the library years ago, and fell for his writing... so of course I'm anxious for another of his novels. Plus, it's Ireland and World War II history and other things I love to read about. So. To Rise Again at a Decent Hour, by Joshua Ferris (Little, Brown & Co, May 13): Ferris! Joshua Ferris! Has a new novel! I don't even know what it's about, and I'll still read the heck out of it. An Untamed State, by Roxane Gay (Grove Press, May 6): The story of a woman kidnapped for ransom, held hostage, and the consequences of her thirteen-day captivity. I've heard so very many good things about this one. So. Very. Many. That's obviously far more than I'll read next month, though a girl can always dream. What's on your radar for May? The Storied Life of A.J. Fikry, by Gabrielle Zevin: You guys! This book! It's so lovely and wonderful and hilarious and sad and trying and emotional and did I say lovely? An ode to bookstores and book love and the power of reading and stories. Review to come, just as soon as I catch my breath. Thunderstruck & Other Stories, by Elizabeth McCracken: McCracken is one helluva a writer, friends. The stories here are taut and emotional, as families are broken apart and stitched back together and trying to cope with the most unexpected turns of event. Really captivating. Review to come. A Few Seconds of Radiant Filmstrip, by Kevin Brockmeier: I loved Kevin Brockmeier's The Illumination years ago, so was excited to read his first memoir. Brockmeier dedicates the entire slim volume to one year--the seventh grade--and perfectly captures the awkwardness and discomfort that so many of us remember from our own middle school years. Read my full review of A Few Seconds of Radiant Filmstrip and see what Kevin Brockmeier had to say about the memoir. The Word Exchange, by Alena Graedon: I guess April was the month for books about books, but where The Storied Life of A.J. Fikry explores the power of reading through a quaint independent bookstore, The Word Exchange moves us into a future where books--and words--are threatened by our growing dependence on technology. Sound uncomfortably familiar, perhaps? Read my full review of The Word Exchange. 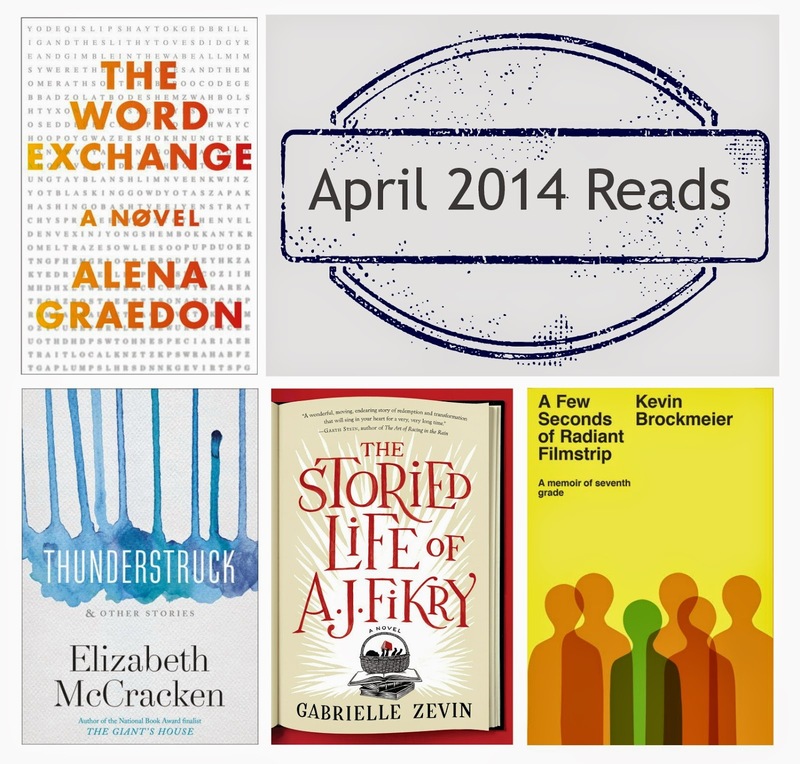 What fabulous April books did I miss? What were your favorites?